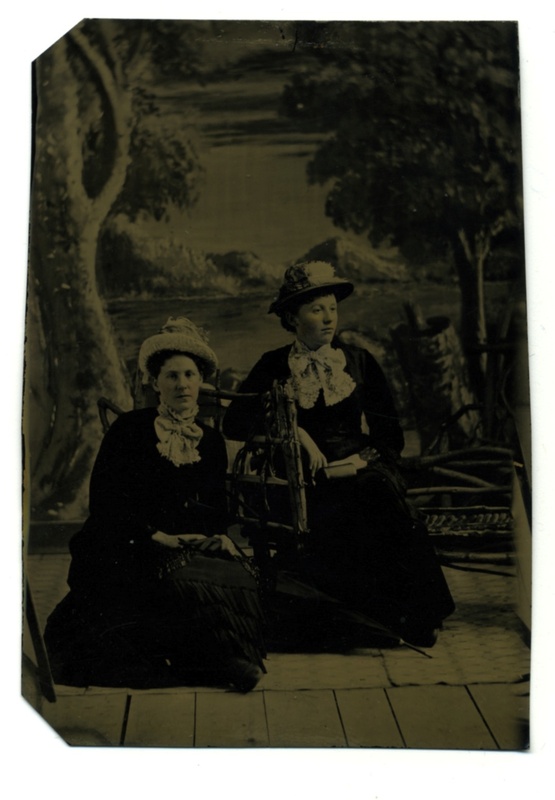 This is a business-card sized tintype from the USA. I love the backdrop and the details in the hats and lace neck bows. These ladies look beautiful in their outfits, and the backdrop is very pretty also. I love scanning tintypes. They give up so much more of their detail!